A few days ago I headed west to The Gourmandise School of Sweets and Savories and Venokado at Santa Monica Place to attend a booksigning, cooking demo and wine tasting from one of my favorite LA chefs, Suzanne Goin. I sat down with Chef Goin shortly before the demo to talk about her many restaurants and her latest venture (with partner Caroline Styne), The Larder on Maple Drive in Beverly Hills, a quick service cafe serving up breakfast and dinner. One of Los Angeles’ most beloved chefs, Suzanne Goin cooks with a palette of colors and flavors that showcase the best farmers and producers from the Southern California markets. In all three of her restaurants, Lucques, A.O.C., and Tavern, her passion for seasonal cooking is reflected in her ever-changing menus and artfully presented dishes. 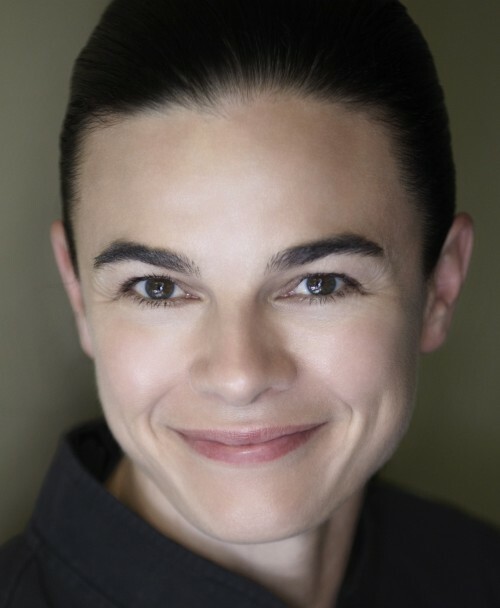 Her artistry has earned her numerous accolades including Food & Wine Magazine’s Best New Chefs of 1999, the James Beard Foundation’s Best Chef: California in 2006, and four nominations for the national Outstanding Chef Award in 2008, 2009, 2010, and 2011. Her restaurants have been praised by Gourmet magazine, Bon Appétit and Los Angeles Times (which awarded Lucques three stars). It’s that time of year again. My favorite cooking time during the holiday season is just before Thanksgiving when I make my famous cranberry sauce. 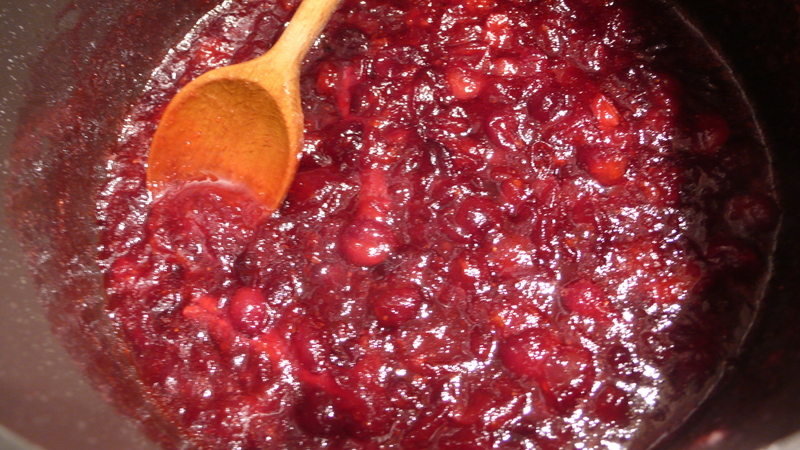 I never understood why people buy the stuff in a can when in takes only 15 minutes to make fresh cranberry sauce. 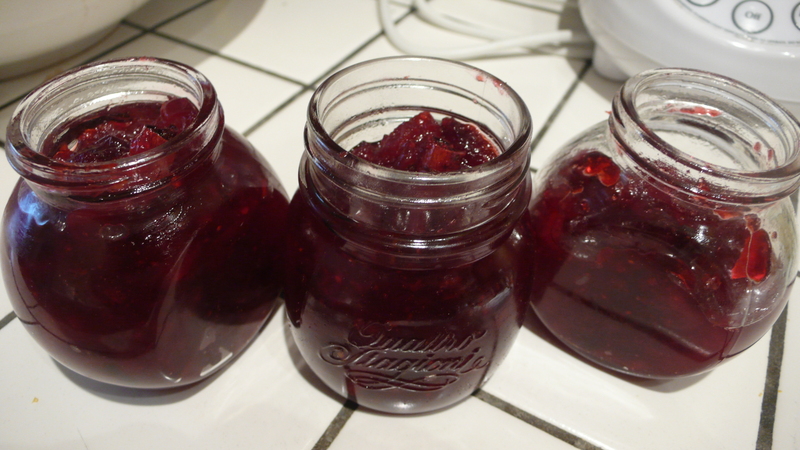 Once I give a neighbor, co-worker, or friend my cranberry sauce they immediately either annually request that I make them a jar or that I provide my recipe. 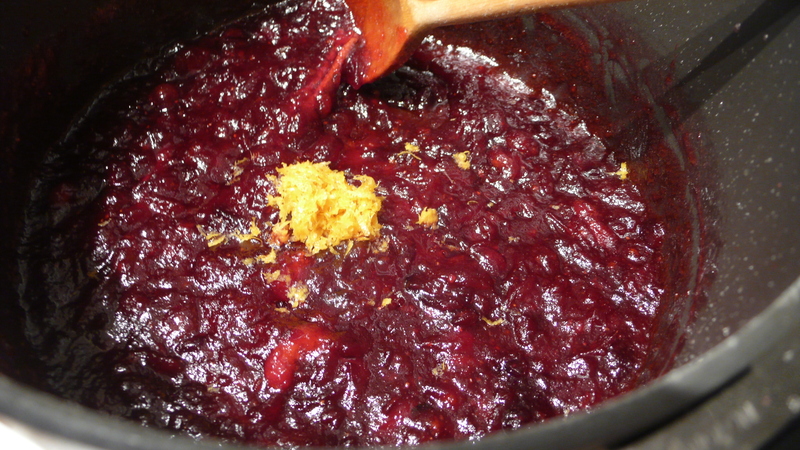 So, to save diners everywhere from the dreaded wobbly horrible canned sauce, I am posting the recipe up on the divine dish blog. This recipe usually makes three small jars of cranberry sauce (if you plan to give them as gifts). 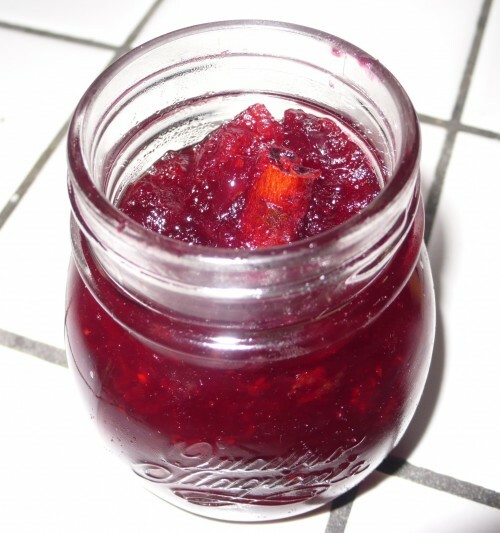 If you are keeping it for your Thanksgiving Day meal it will easily be enough for at least 10 people and you will have some leftover to use as a condiment to spread on muffins or toast or use as a side with chicken or pork. 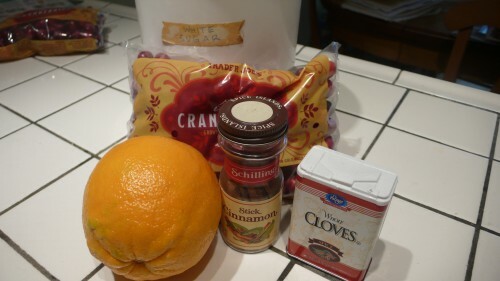 I usually make this at least four days before Thanksgiving and leave it in the fridge until turkey day. 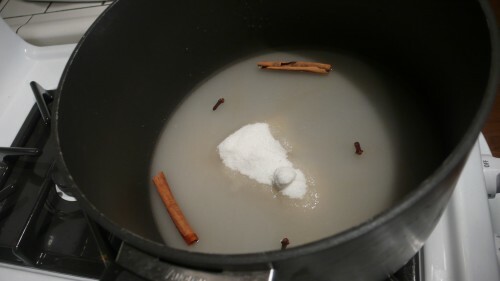 Bring the first four ingredients, water, sugar, cloves and cinnamon, to a boil in a large pot. 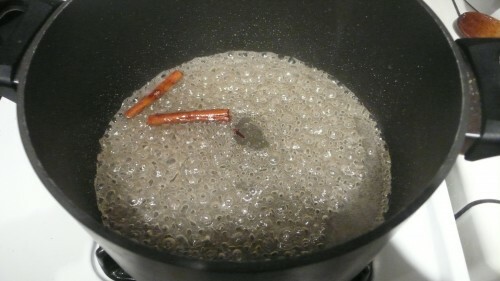 Cook, stirring until the ingredients turn into a clear syrup. This should take about 5 minutes. While the cranberries are cooking, zest one large orange. 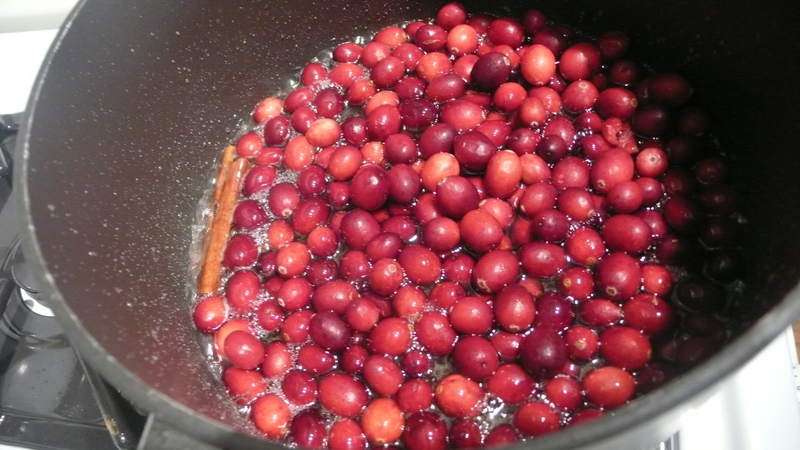 The cranberries should begin to pop and foam producing a bright pink color. The cranberries will then become thicker and darker. 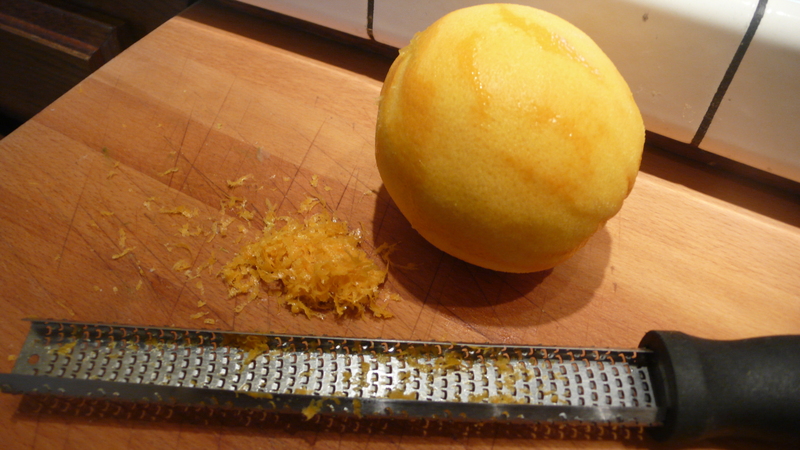 Add the orange zest and stir so it is mixed throughout the sauce. 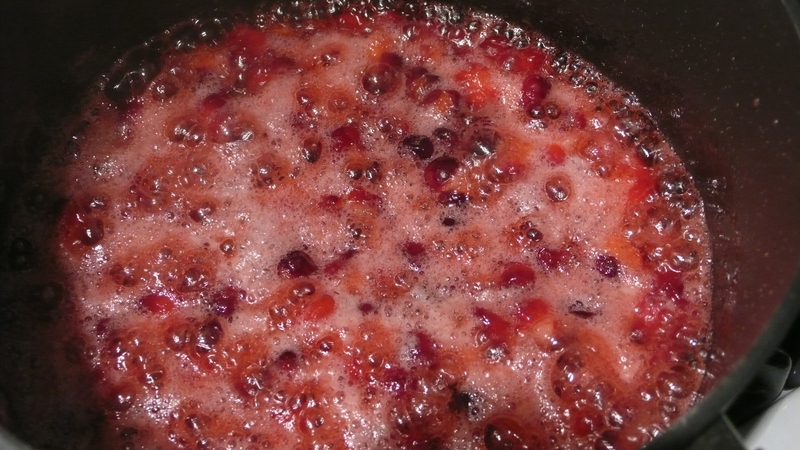 The sauce is done when it is dark red and a thick consistency. I usually spoon it into small jars for gifts or fill a plastic storage container and keep it until turkey day. Opened in 1998, Palomino in Westwood offers classic American fare with Mediterranean influences. The upscale elegant large bar offers plenty of room for diners to enjoy drinks and appetizers. The airy main dining room offers Westwood street front views from floor to ceiling windows, luxurious booths, eclectic lighting fixtures, and tables in the middle of all the restaurant action. I visited on a Wednesday when Palomino offers their all day half off any bottle of wine over $30 (which is most of their extensive wine list). This promotion is a great deal and an opportunity for diners to sample a vintage they might not normally be able to order. Here’s what we sampled on our visit. We started with appetizers – the roasted garlic with cambozola cheese came with a tomato chutney and roma crisps. The manila clams were plump and delicious, a great way to start a meal, swimming in a broth of sopressata, garlic, tomatoes and herbs. 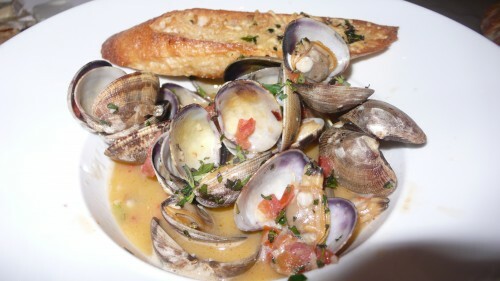 We soaked up all the extra broth with the nice crispy bread perched on top of the steaming bowl of clams. We also sampled salads – the restaurant’s signature chop chop salad had a huge amount of ingredients – smoked turkey, salami, provolone, garbanzo beans, parmesan, romaine lettuce and tomatoes. 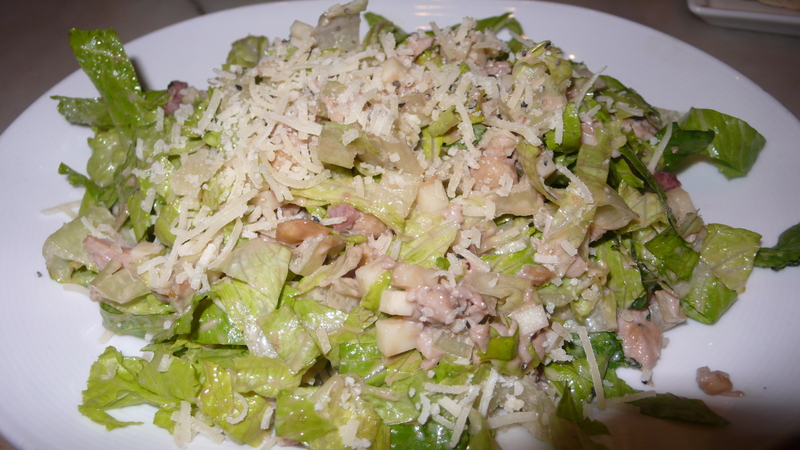 This would be a great main course but huge for an appetizer salad, though really good to share. 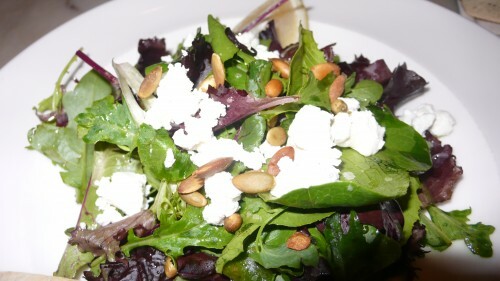 The other salad was our favorite, the simple field greens, with chevre and pumpkin seeds. We moved on to the main courses, rigatoni bolognese, oven roasted Idaho trout and the rotisserie pork loin. 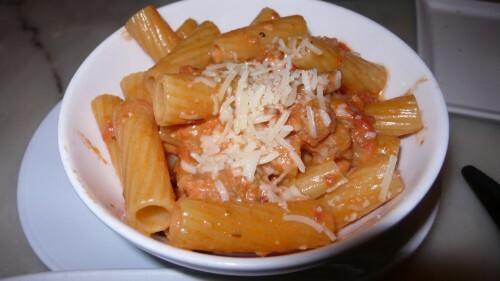 The pasta was cooked perfectly with hot Italian sausage, pear tomatoes, and garlic in a roasted red pepper cream sauce. 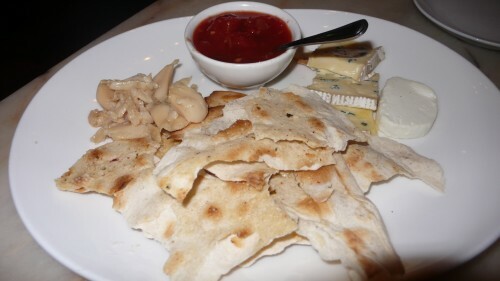 This would be a great main course on a fall or winter afternoon or evening. My boyfriend Matt had the Idaho trout, oven roasted with a citrus herb stuffing, served with grilled asparagus, red bliss potatoes and artichokes. 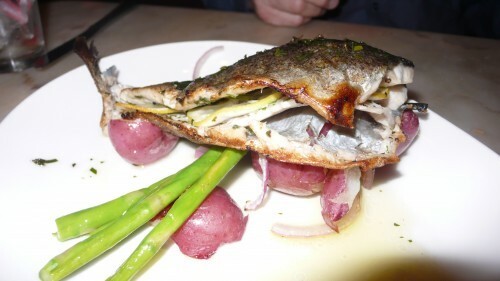 I am not a big trout fan, but this dish was amazing and a great option if you want to dine on the lighter side. 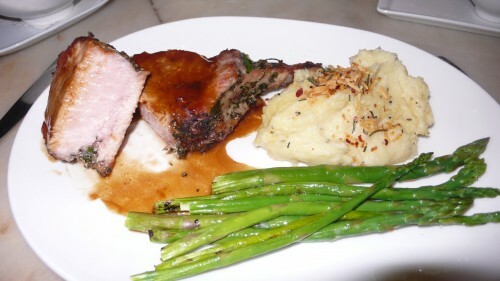 I had Palomino’s signature pork loin double chop, a huge piece of pork with a seared pepper crust. 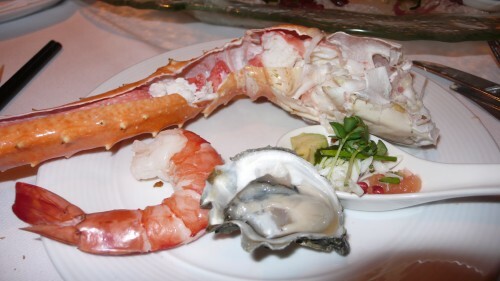 It was massive, very tender and juicy. Served with grilled asparagus and creamy parmesan rosemary potatoes, this huge dish could easily feed four people. I ate about a quarter of the plate and took the rest home for leftovers, which were delicious the next night. The chop was the best I have tasted in LA. 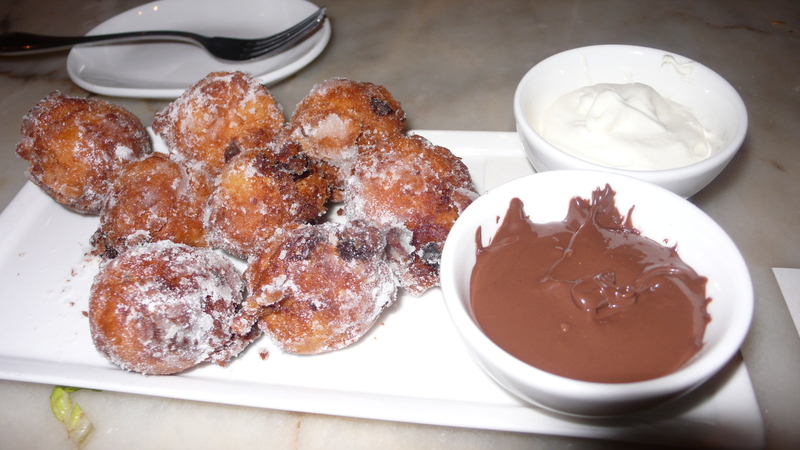 We ended the meal with some nice fried Italian zeppoles (donuts) covered in sugar served with a rich nutella sauce and whipped cream. A perfect way to finish a lovely dinner. I would highly recommend stopping by Palomino, especially on a Wednesday to take advantage of their half off wine deal, for a pre or post theatre or movie meal or a leisurely dinner the next time you find yourself on the westside. 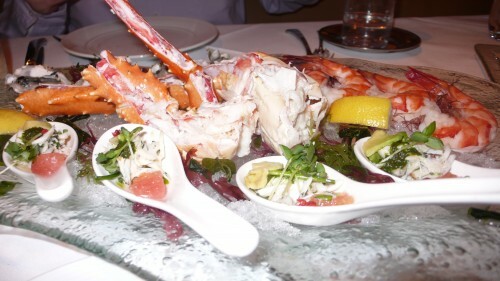 Located at 10877 Wilshire Boulevard, call 310.208.1960 for reservations. A decade or so ago, Vegas was known for the 99-cent cocktail and the $1.99 steak and eggs. For many years, it was gospel that money could buy you anything in Las Vegas but a good meal. 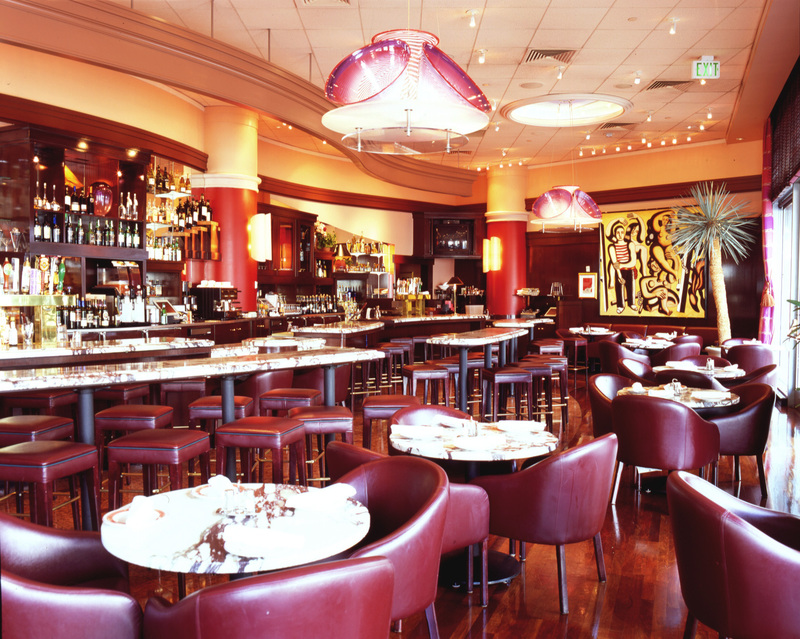 But in the roaring ’80s, Sin City went upscale, with restaurants run by famous chefs. 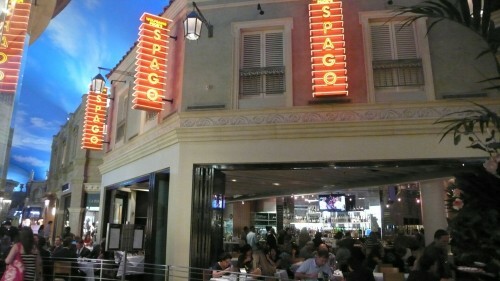 The city transformed itself from a food dead zone to what is today touted as “America’s next great culinary city.” Led by chef-to-the-stars Wolfgang Puck, who brought a version of his see-and-be-seen Hollywood restaurant Spago to Las Vegas in 1992, an army of Food Network/celebrity chefs have opened outposts. Today, Las Vegas is now as much a destination for serious foodies as for gamblers. 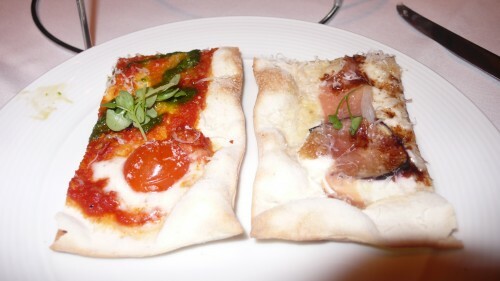 On my last press trip to Sin City, I was lucky to be able to dine at Wolfgang Puck’s signature eatery. 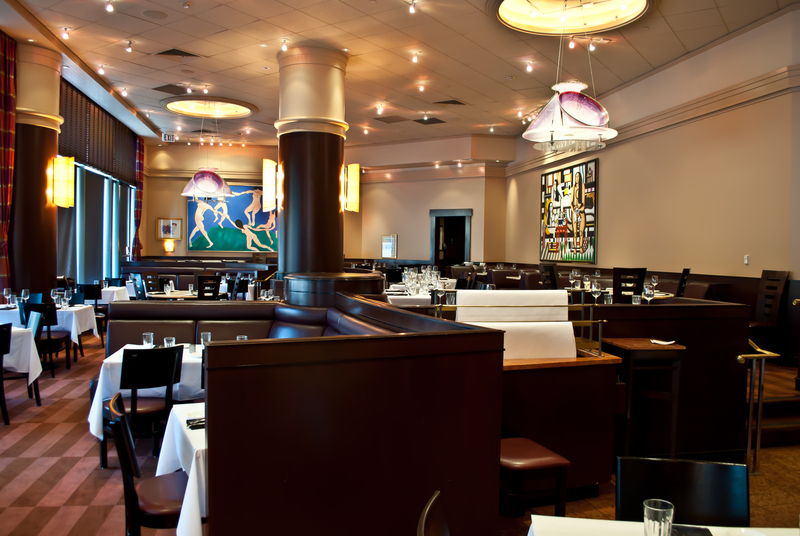 The modern brown and beige toned restaurant features American cuisine with global accents. Guests can choose to dine in the elegant open main dining room or on the patio cafe overlooking the crowd at The Forum Shops. The menu changes daily. 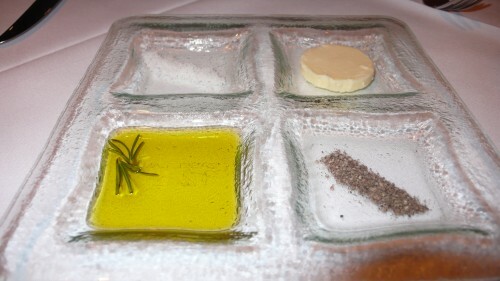 Here is what I, and my guest Ernesto, sampled. 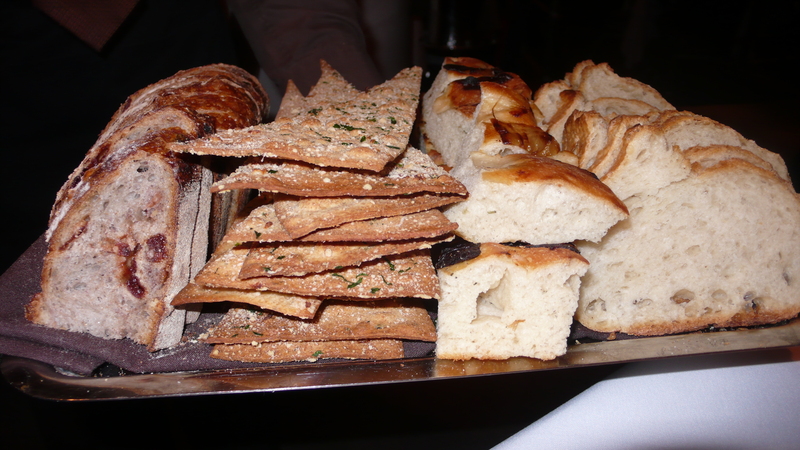 Bread is baked daily in the Spago kitchens, and is accompanied by rosemary infused olive oil, butter, salt and pepper. Chef Erik Klein sent out a nice selection of flatbreads for us to nibble on before our appetizers. We chose seafood appetizers – a seafood medley with crab, lobster, oysters and shrimp and a symphony of tuna. Lucky for me Ernesto doesn’t eat oysters so I got to gobble up all of them. The crab was the best I have ever had. 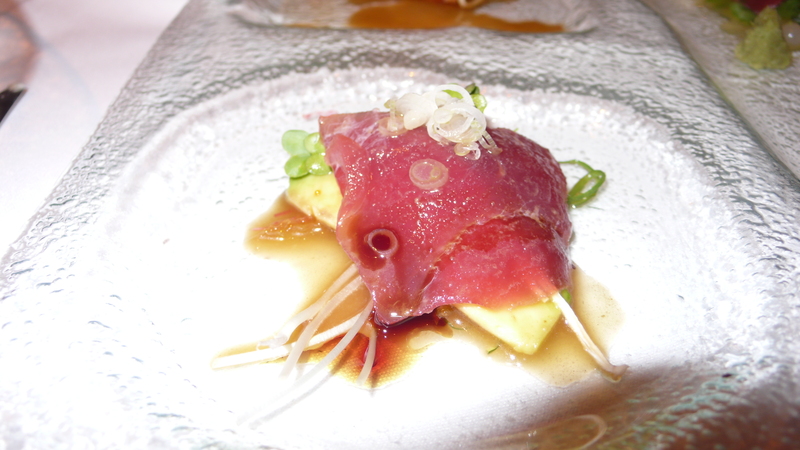 The tuna was served four different ways – with avocado, radish and Yuzu wasabi, in a watercress salad with lychee, chive and lemon; on a crispy rice cake with marinated cucumber and hearts of palm, and in a tuile taco with a chili mango sauce topped with masago caviar. All were delicious. The trio of tuna plate was a beautiful plate. We stared at it for a while before digging in. We also both choose to order beef for our main courses. 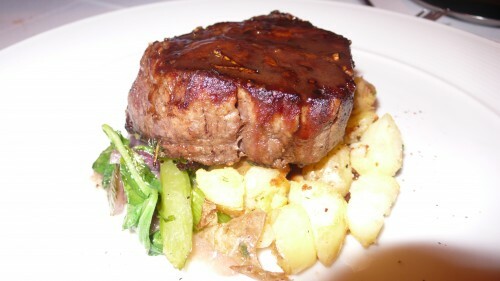 I had red wine braised short ribs, Ernesto opted for the mesquite grilled prime filet mignon. Both excellent. 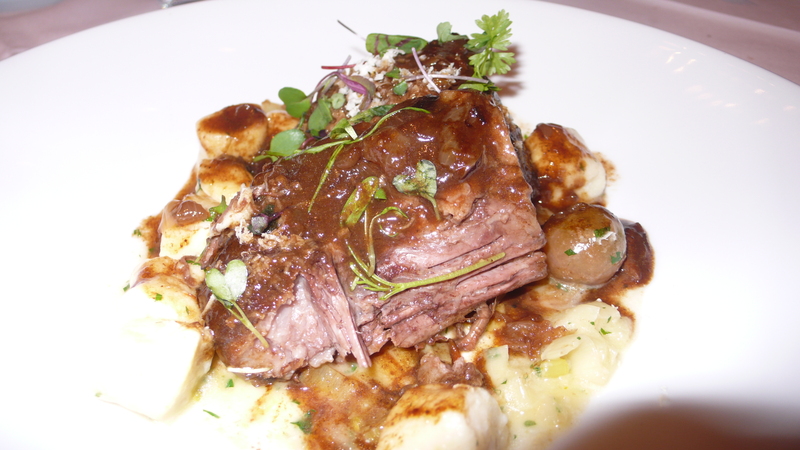 My short rib came with caramelized shallots, leeks, and tomatoes over hand made ricotta gnocchi, served with homemade horseradish. Very satisfying and delicious. Ernesto’s filet mignon came with sweet and sour red onions, celery, watercress, asparagus and bone marrow crushed fingerling potatoes. Desserts are also outstanding. 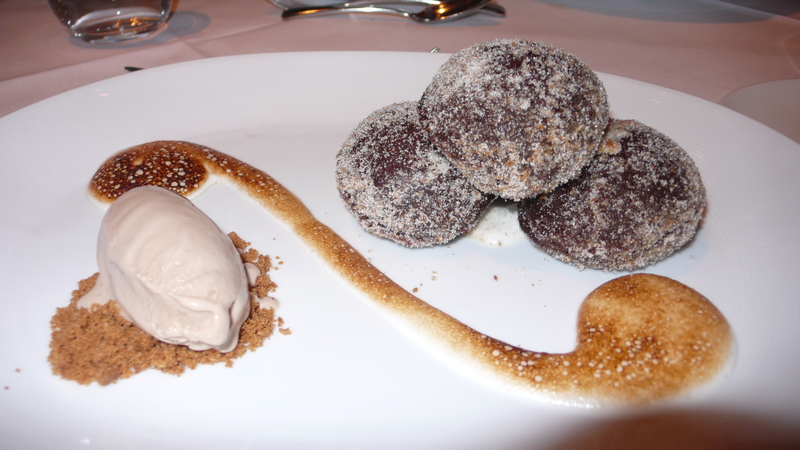 I chose the S’more’s, a combination of chocolate beignets with marshmallow filling, graham cracker sugar, and milk chocolate ice cream. 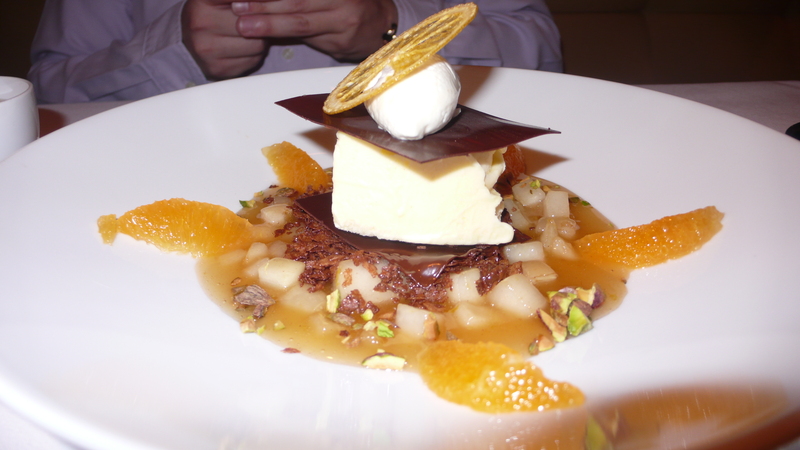 Ernesto chose the Grand Marnier Eskimo Pie, served with citrus glazed pears and chocolate crispies. 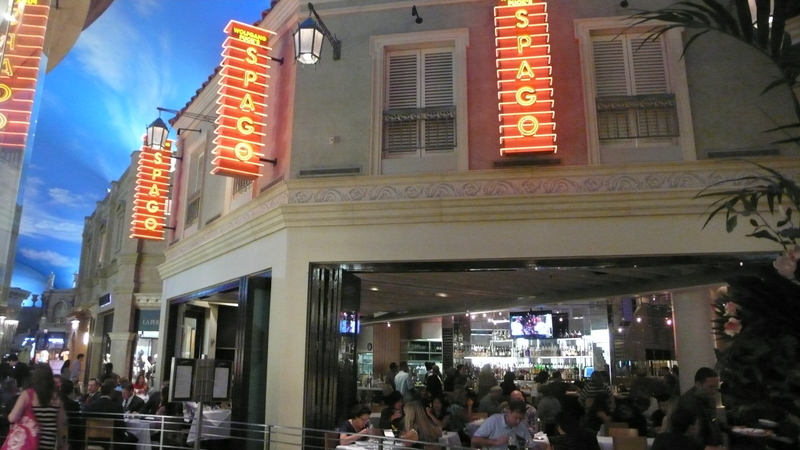 Located in the heart of the Strip at The Forum Shops in Caesar’s Palace, Spago Las Vegas is a great place to catch a quick bite or linger over a superb dinner. 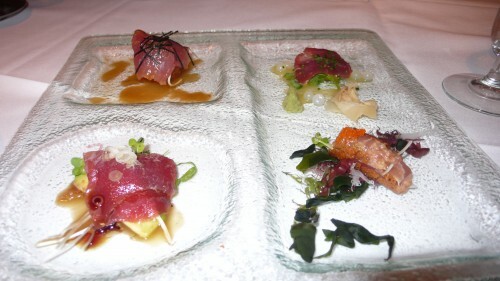 Reservations can be made through the SmarterVegas website at www.smartervegas.com.